Nestled in the heart of Lincoln Park lies the quiet and upscale Blanchard. Executive Chef Ryan Burns treats every plate like an artist’s easel, serving beautiful French dishes to impress even the pickiest eaters. The fine attention to detail in every ingredient can be indulged with each mouth-watering bite. From foie gras to shaved scallops to caviar, the shared plates are perfect to start off your experience at The Blanchard. The Blanchard is known for their foie gras. Prepared cold or warm, with all of the accouterments, you’d never know you are consuming duck liver. The best is the Black Truffle Crusted Foie Gras, charred and crispy but not too overwhelmingly truffle flavored. 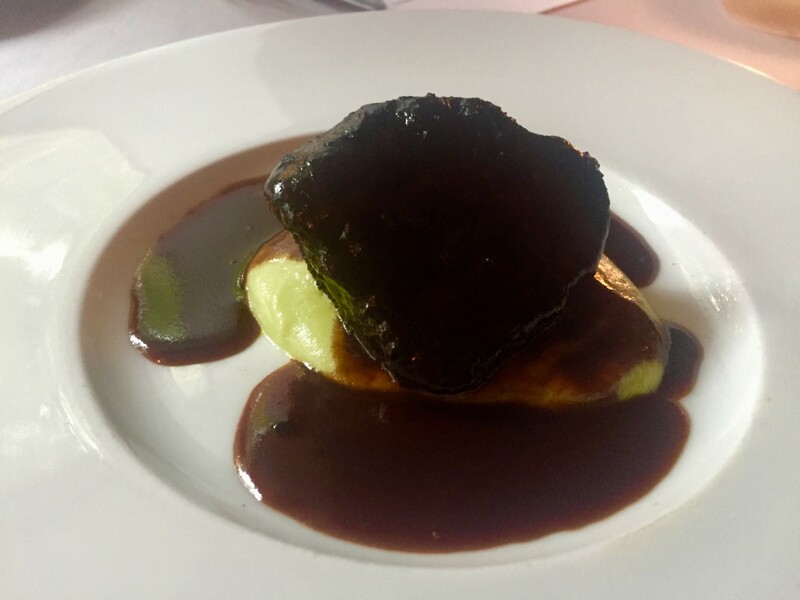 The crusted, liver medallion sits in a delicious savory madeira sauce that will make you want to lick your plate clean. The Viking Village Scallops swim in a buttery, bone marrow nage and go down like water. 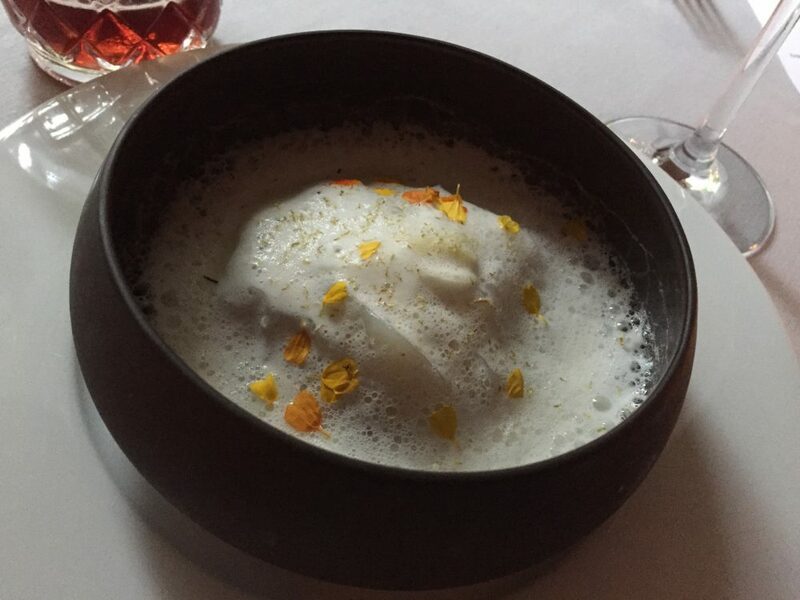 Every bite introduces a different exciting flavor with finely shaved fennel, essence of orange and chamomile to make the nage smooth and frothy. 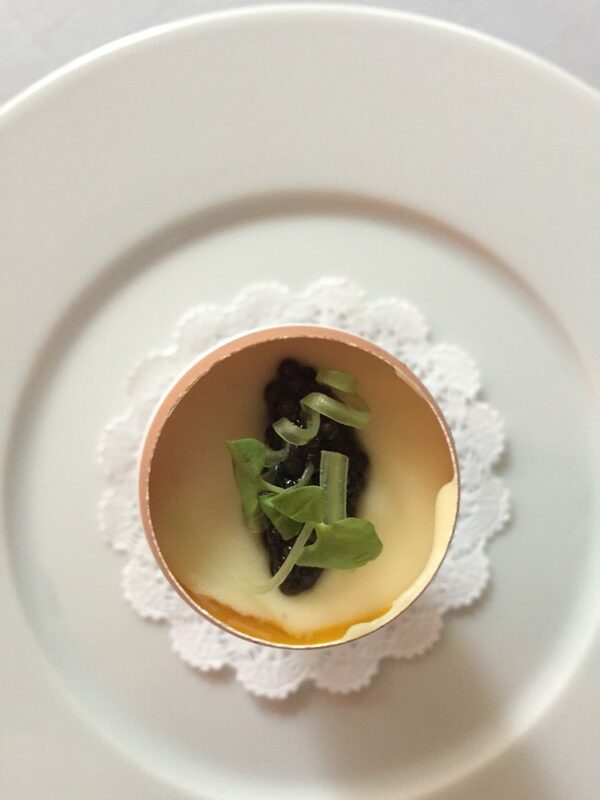 The Ossetra Caviar is more than a palate-pleaser as it tops a soft cooked egg yolk, pickled apple and finely shaved celery served in an eggshell. You’ll find it necessary to scrape every last morsel off the walls of the fragile eggshell with your cute little caviar spoon. With a variety of meat and seafood options, the entrée menu promises empty plates at the end. 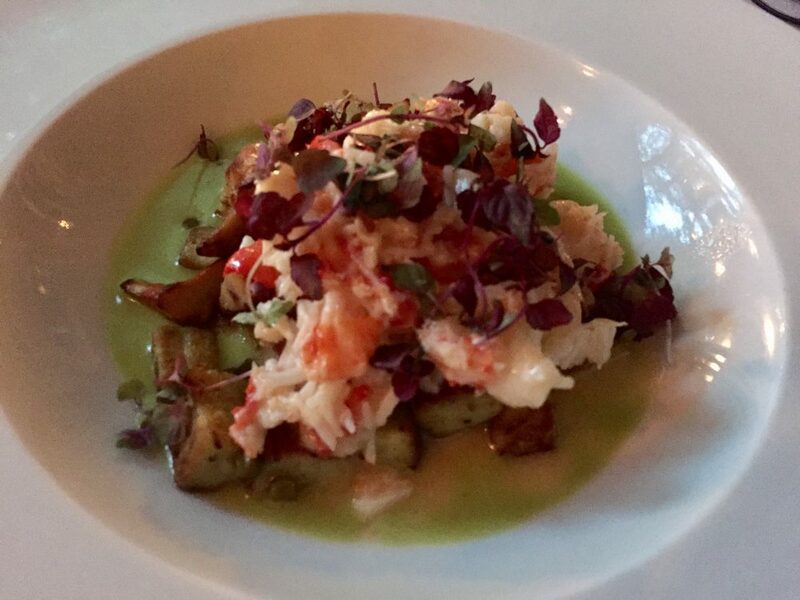 The King Crab gnocchi soaks in a garlic scape nage for another smooth and buttery texture with each bite. The dish is decorated with pickled green garlic and morel mushrooms, creating a savory flavor burst in addition to the soft scent of the sea in the shredded crab pieces. A French classic in the Coq Au Vin takes your mouth straight to Thanksgiving dinner. 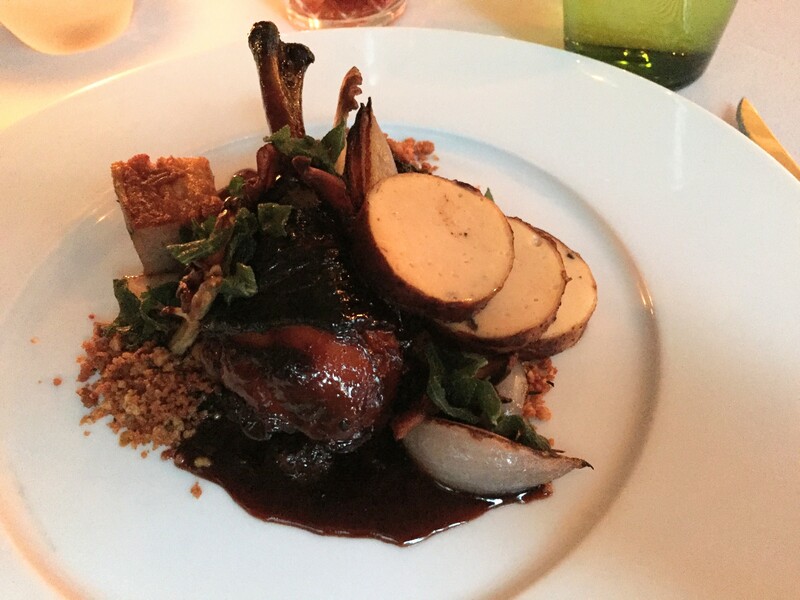 Prepared for five days, the dish is served with a cube of crispy pork belly, chicken truffle roulade medallions and a perfectly crispy chicken leg. The meats are sprinkled with pine nuts and chanterelles and blanketed by a smoky burgundy wine sauce. The Blanchard should really do a sampler of all four of their desserts. However, no decision is a wrong one. 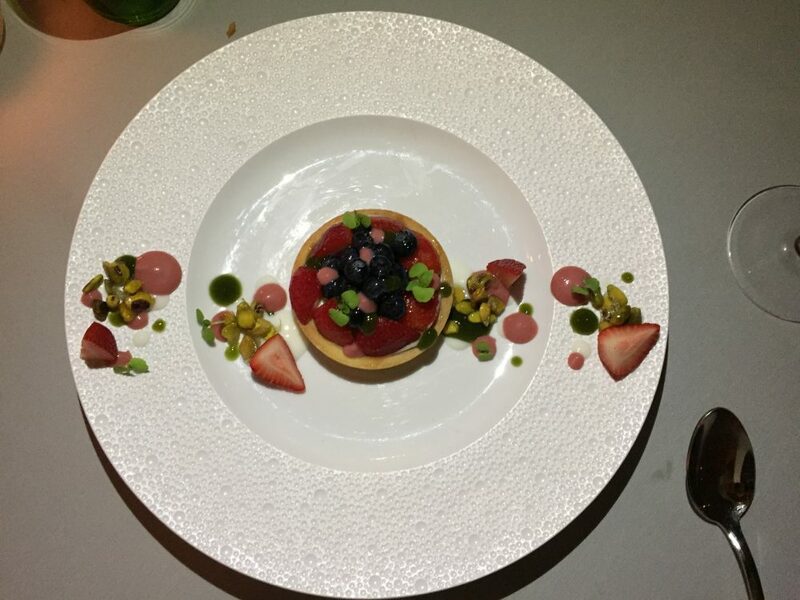 The Baies Tart is plated with fresh strawberries and blueberries; speckled with fresh basil, lavender and pistachio nibs all glazed with vanilla cream. Lastly, the Crème Glacée au Bretzel tastes like s’mores and bananas foster had a delicious baby. The combination of bananas, almond, caramel ganache and kaffir lime meringues on top of a milk chocolate feuilletine makes for a perfect end of the night treat. 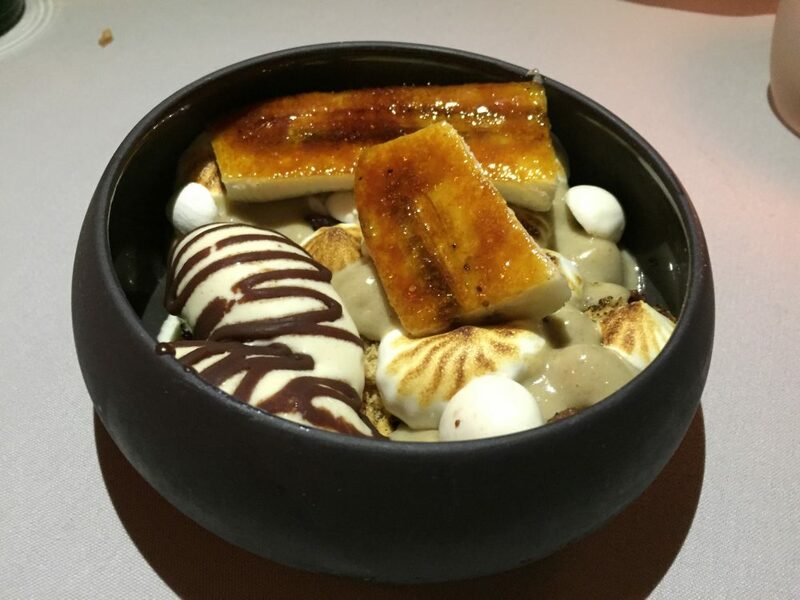 Other desserts include the Crème de Catalan and Milk Chocolate Mousse. The Blanchard is open for dinner Wednesdays and Thursdays 5-10PM, Fridays and Saturdays 5-11PM and Sundays 5-9PM. Saturdays and Sundays, the restaurant is also open for brunch 10AM-1:30PM.